WHAO! Ahh! Ohh! 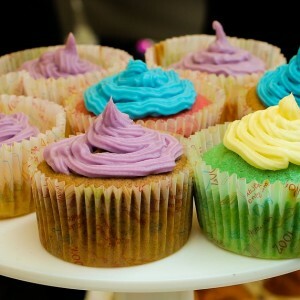 are some of the words you might have uttered when it comes to rainbow colored foods. lets face it we don’t naturally have growing blue foods, so it is only human nature to stop and stare in aw and amazement when you come across something so bewildering. Personally as pretty as some of this foods might be, I think most of them are only meant to be consumed once in a while or during a special occasion or NEVER. Unless this foods are using natural dye in the form of beets, carrots, spinach and turmeric they most often use artificial coloring in the form of chemicals which cant be good in the long run for our bodies as they provide no nutritional content. Other than that, most of this foods will contain massive amounts of sugar which again has no nutritional value in the body other than tasting good and packing on the calories. Now that said, it doesn’t mean that once in a very rare blue moon you cant indulge in this decadent looking foods. Here are some rainbow colored foods that I indulged as a child. I once had this as a child, I think I was 7/8 yrs old it might not have been as pretty or layered but my was it colorful, I remember that bday up to now….. In this day and age I will only consume this during a kids birthday. It would be a small portion and I would be happy to share and enjoy the party…no need to go all berserk and start giving a health and nutrition class. Honestly no one cares…at least not in that particular moment. So do yourself a favour either indulge or casually avoid the cake and enjoy the company without bringing up your stand on artificial colored food stuffs. This one can possible fall under the birthday cake bracket too… however you can occasionally bake some rainbow colored cupcakes… your kids will love them and you will feel like a creative spirit when the final product comes together. 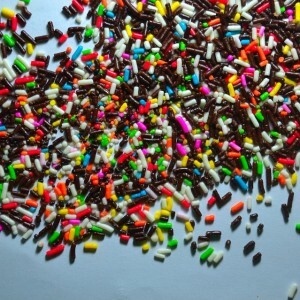 Rainbow colored sprinkles or chocolate sprinkles can be used to enhance various desserts. i.e milkshakes, ice cream, cakes in the form of toppings frosting i.e butter cream, hard icing , whipped cream etc. If you absolutely hate baking then you can try your hand with making some variety of colored pancakes. Simple just make you pancake batter, separate the mixture and add whatever colors you want to the separate batches and cook like you would regular pancakes. I grew up eating these every other Sunday. It was always after church and when the sun would be at its peak menacingly glaring down upon us. like clock work once the mass ended in the early afternoon , hawkers would out of nowhere station themselves right outside the church doors. 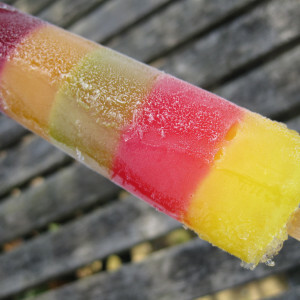 Now as kids my sister and I would leave the mass only to get bombarded with guys carrying a basin of these colorful semi frozen substances in a small tube like plastic paper wrapping. As you might be aware, kids cant resist color, they would literately hand them to us…and before we know it we were guzzling this babies down and my grandmother had no choice but to pay for them. From my memory these were made of nothing but sugar, water and food color and occasionally very diluted artificial fruit juice. 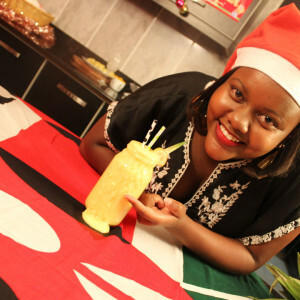 If you are Kenyan and were born in the late 80’s you probably know what I am talking about. 😉 and I have just evoked some fond memories…. Obviously I do not think that artificial colors full of chemicals should be in the market and it is up to us as individuals to make the right choices when it comes to our kids as well as our health. 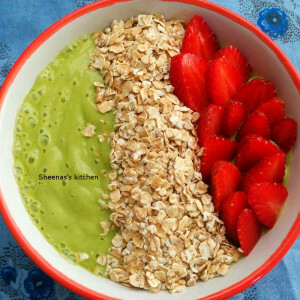 That said if you are looking for away to get your kids to consume healthy foods, then you can definitely take a better approach by enticing your kids with naturally colored foods which will have nutritional value to their long term health. 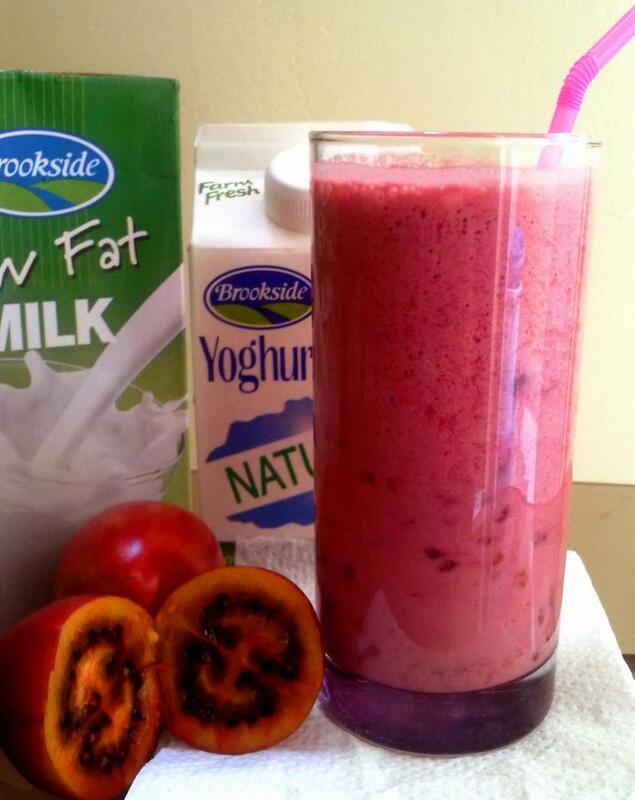 One of the ways I do this is by adding beetroot and other vegetables to smoothies, smoothie bowls or yogurt dips. Remember to check out my other Onja posts as well as the team posts on the sidebar (where you will find their links). 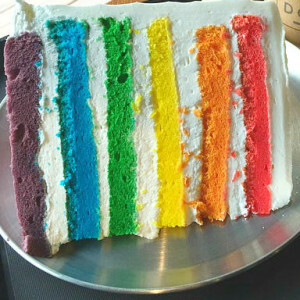 What rainbow colored foods did you indulge in a s a kid or adult?